Piso Fare 2015 promo: Start your week right by giving more value to your savings! With AirAsia, your P10 can bring you to your dream destinations! 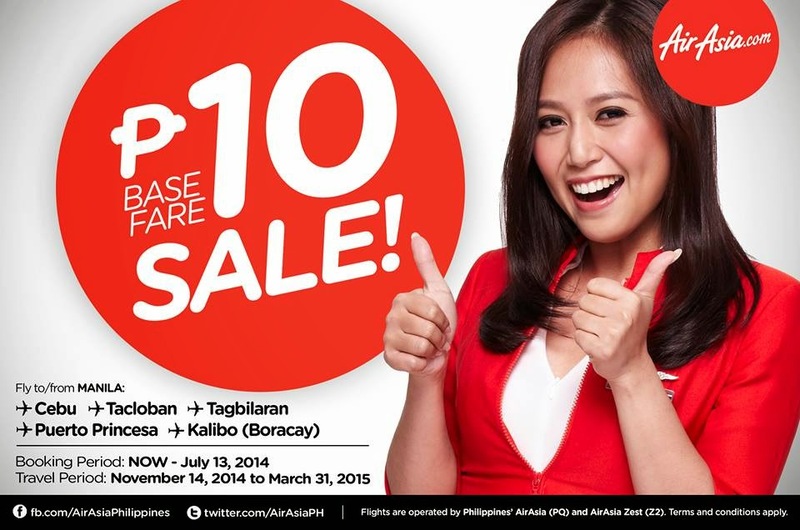 Yes, our P10 Base Fare Sale is still ON! Take advantage of our discounted seats and book now @http://airasia.com/! Imagine paying for your plane seats from as low as P10 only! Fly from Manila to Bohol, Boracay, Cebu, Puerto Princesa and Tacloban all you want! Let your P10 fly you there! You can also book using your smartphones! Download the AirAsia Mobile App now at http://airasia.com/appsor by searching ‘AirAsia’ on your app market. Feel accomplished and wise by choosing to fly low-cost without sacrificing world-class flying! ‘Share’ this with your family and friends now.